Weight Loss - YOUR CNY WELLNESS RESOURCE! A complete examination of the patient's history, consultation regarding weight loss goals, physical examination, and explanation of the weight loss program. Consultations to monitor progress including weight and body measurements. Unique combination of B vitamins and amino acids to promote fat burning, energy, and increase metabolism. Once a week for 16 weeks. Advanced proprietary solutions to help aid your body release fat, nutritional support, and a natural appetite suppressant. Easy to follow meal plan to give your body the nutrients it needs. Our knowledgeable Health & Wellness Coach with you every step of the way for accountability, motivation, and support through your journey. 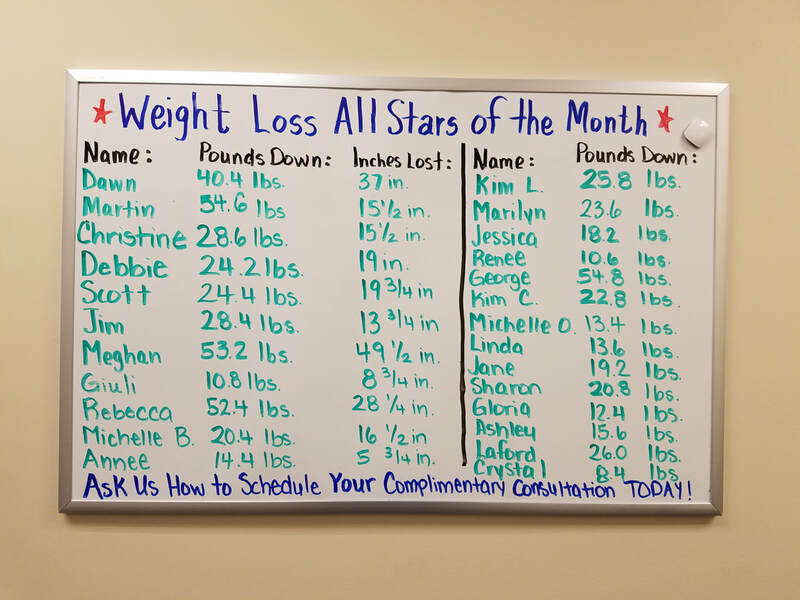 The progress of some of our Weight Loss Program patients at MyCare Syracuse. 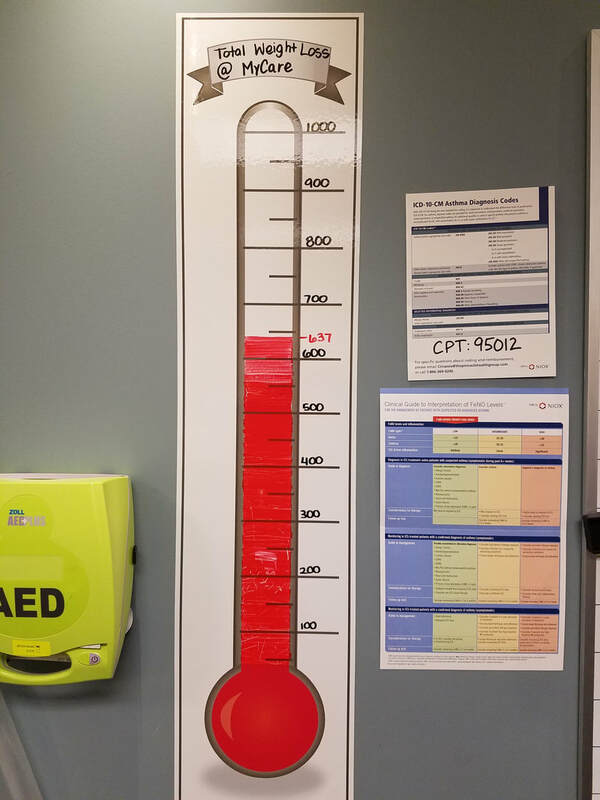 At MyCare Syracuse we have set a goal of 1000 pounds total weight loss for our patients enrolled in the program! Why Choose Total Health and Wellness?